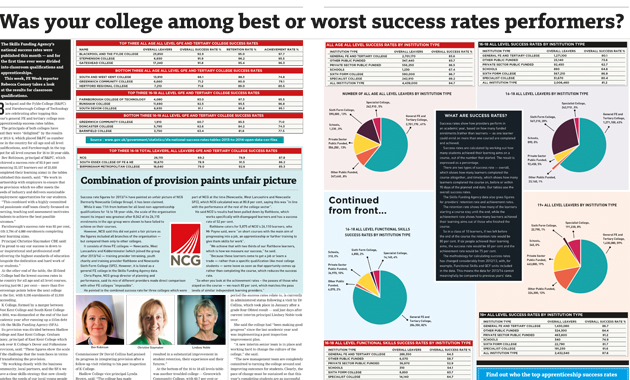 ﻿ Was your college among best or worst success rates performers? Was your college among best or worst success rates performers? The Skills Funding Agency’s national success rates were published this month — and for the first time ever were divided into classroom qualifications and apprenticeships. This week, FE Week reporter Rebecca Cooney takes a look at the results for classroom qualifications.